Sound the Alarm Campaign needs volunteers! Here’s a great way you can help your community: Partner with the Red Cross to help stamp out house fires. From April 28 through May 12, the Red Cross is organizing a push to install smoke alarms in high-risk neighborhoods as part of their annual Sound the Alarm Campaign. The Sound the Alarm Campaign works in conjunction with community organizations and local fire departments to install free smoke detectors in homes and apartments at no cost to residents. The vast majority of crises to which the Red Cross responds are not natural disasters like earthquakes, tornados, hurricanes, or floods – they’re home fires. Every day, home fires in the US take lives, destroy property, and displace families. That’s why the Red Cross has set a goal to reduce home fires by 25%, and they need your help. They are looking for 35,000 volunteers across the nation to help install alarms. You can get involved by signing up at to volunteer at the Home Fire Campaign. Donate your time to help install alarms or batteries, or to canvas at-risk neighborhoods. Donate a few dollars to help reduce the threat of home fires in high-risk communities. 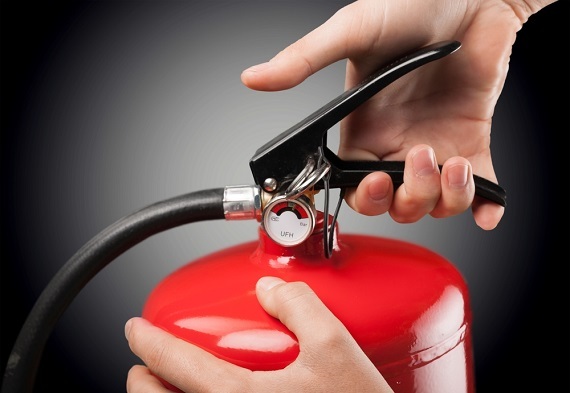 Attend a fire safety event to learn how to mitigate your risks. If you’re an educator, devote some classroom time to fire safety techniques. While you’re at it, take a moment to test your own smoke alarms. Maybe they need fresh batteries! It takes just a minute to keep your family, your pets, and your property protected from the threat of a house fire. Here are more home fire prevention tips. Approximately 45,900 annual heating fires in U.S. residential buildings were reported to fire departments each year. Annually, heating fires resulted in 200+ deaths, 700+ injuries, and more than half a billion dollars in property loss. Residential heating fires peak in the early evening from 5 to 9 p.m., accounting for 29% of heating-related home fires. Confined fires (fires confined to chimneys, flues or fuel burners) accounted for 75% percent of residential building heating fires. Combustible materials that were too close to the heat source accounted for 29% of non-confined fires. 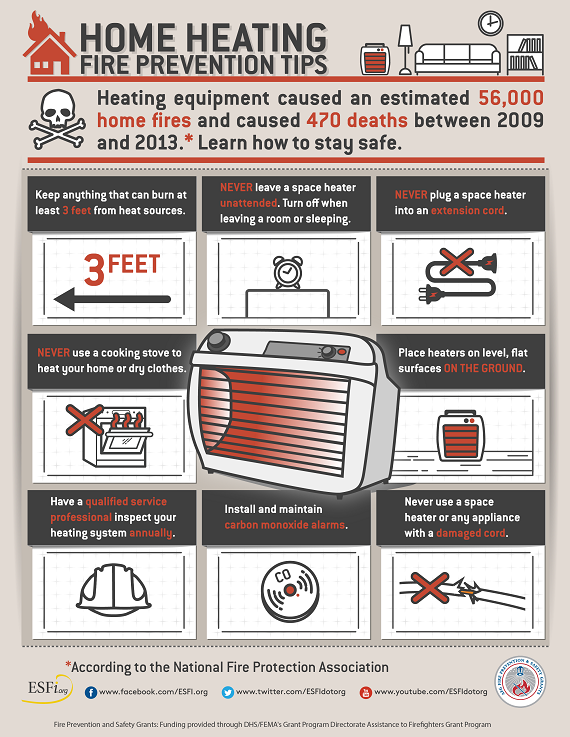 Portable heater fires caused an estimated 90 deaths, 175 injuries, and $84 million in property loss. 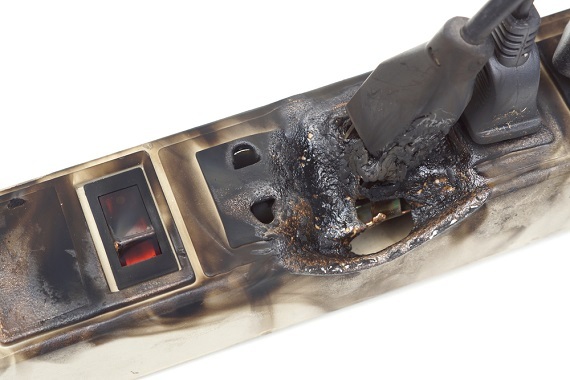 About 37% of portable heater fires started in bedrooms. In bedroom fires caused by portable heaters, the leading items ignited (23%) were bedding, such as blankets, sheets, and comforters. 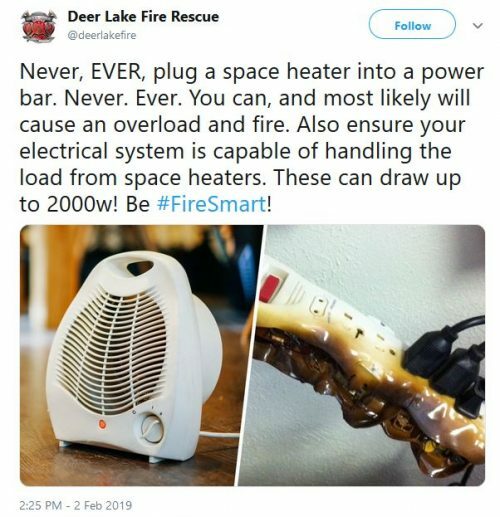 Here’s a short USFA safety clip related to portable heaters. Practice the 3-foot safety rule. Keep combustible materials away from the furnace, fireplace, wood stove, or portable space heater. Inspect, clean and test. 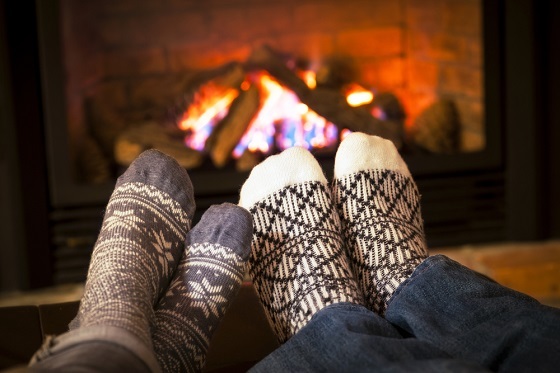 Have qualified heating professionals inspect and clean furnaces, chimneys and heating equipment every year. Replace batteries in your fire alarms in the spring and fall, and test smoke alarms at least once a month. Never, never, never use ovens or portable grills to heat your home. Use a good quality screen to prevent sparks from jumping. Dispose of ashes in a metal, non-flammable container when they are cold. Dispose of ashes a safe distance away from your home – never beside the home or in the garage or cellar. Learn more about how to dispose of ashes properly – and get a few tips on handy uses for the ash.